ONTARIO, Calif. (August 30, 2016) — Yuneec International, the world leader in electric aviation, today announced the availability of the Breeze, creating an all-new mass consumer category for the brand. The Breeze, the ultimate flying camera, is controlled via mobile device, has five easy-to-use flights modes and is able to seamlessly share to social media channels. The Breeze is now available at a suggested retail price of $499.99. The Breeze is a flying camera designed to take ultra high resolution aerial photos and videos of the consumer. Its compact size makes the Breeze easy to transport. It can easily fly both indoors and outdoors and is intuitively controlled by a mobile device. The “Breeze Cam” APP, available for iOS and Android devices, includes five automated flight modes which makes getting the perfect shot easier than ever before. Once users complete their flight, they can download the aerial photos and videos instantly through the Breeze APP to share across their favorite social media channels: Facebook, Twitter, Youtube, Instagram and Whatsapp. Yuneec is expanding its product lineup to make creative aerial possibilities available to even more consumers. The Breeze removes the intimidation of flying, while still providing the creative solutions consumers want to capture unique perspectives of their daily lives. 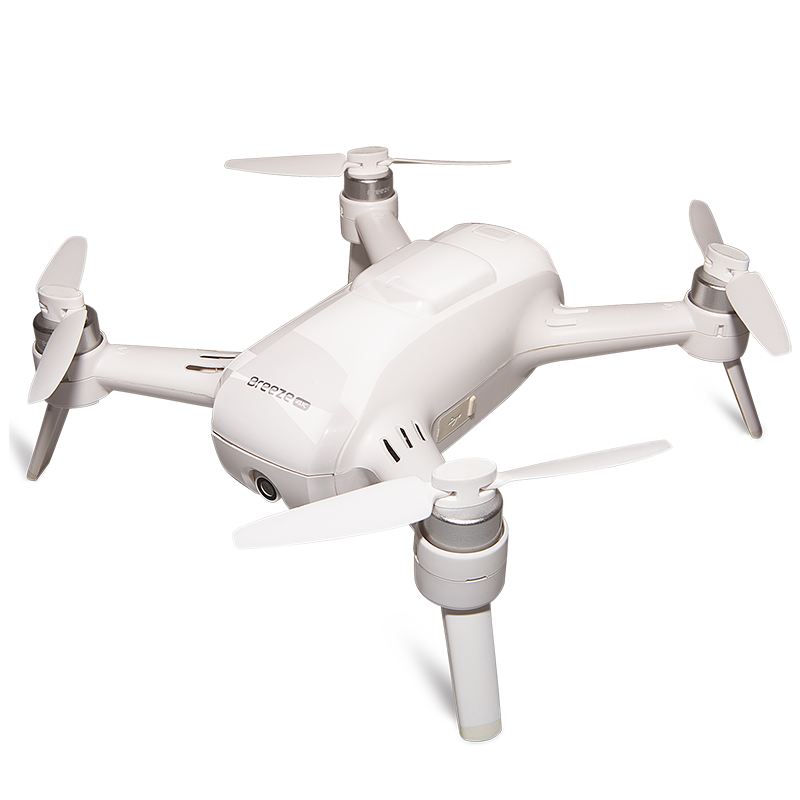 Yuneec offers a variety of creative aerial solutions, including the Tornado professional and the Typhoon enthusiast platforms. Yuneec’s SkyView FPV headset is compatible with the Tornado H920 and Typhoon H as well as other drone and consumer electronics products with HDMI output. Yuneec also manufactures the E-Go 2 electric skateboard for efficient and fun transportation. The Breeze is available for $499.99 at retailers nationwide. For more information visit yuneec.com.